The 2017 International Women’s Day, March 8, 2017, provides a powerful reminder that women can #BeBoldForChange. This philosophy is nothing new to the Nevada Women’s Fund, an organization that exemplifies that spirit daily in its work throughout northern Nevada. Since its founding in 1982, the NWF has raised more than $7.1 million from the local community to fund educational scholarships and organizational grants to improve the lives of women and their families. This year, the International Women’s Day asks the world to join the #BeBoldForChange effort by asking individuals or groups to help forage a better working world that is more inclusive and gender equal. The effort asks for pledges of support through the website, https://www.internationalwomensday.com/. The organization remains committed to help women and girls achieve their ambitions; challenge conscious and unconscious bias; call for gender-balanced leadership; value women and men’s contributions equally; and create inclusive flexible cultures. Through purposeful collaboration, the goal is to empower women and unleash the limitless potential offered to economies the world over. The Nevada Women’s Fund has seen firsthand the growing need for educational support in the region’s workforce development and economic growth initiatives and is addressing the need by offering solutions through its scholarship and grant programs. The Nevada Women’s Fund’s annually awards an average of $250,000 in individual educational scholarships and community grants. In 2016-2017, 79 women were awarded $178,000 to pursue degrees in a variety of fields and $65,000 in community grants went to non-profit organizations last year. To learn more about the Nevada Women’s Fund visit http://nevadawomensfund.org/. After the holiday rush, be a part of giving back to our community and environment by volunteering for one of Keep Truckee Meadows Beautiful’s largest programs, Christmas Tree Recycling. Ask a few friends, family and/or colleagues to join you for a few hours of truly unique camaraderie that can only be acquired by schlepping trees in chilly temperatures for the beautification of our community. 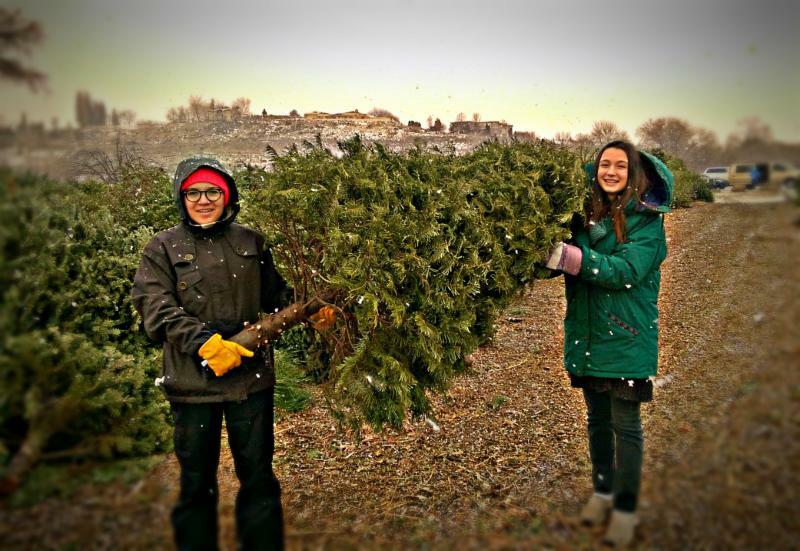 Volunteering for KTMB’s Christmas Tree Recycling is a fun and festive way to give back to your community this holiday season. Each year KTMB recruits over 500 volunteers for this important community program that keeps thousands of trees out of the landfill. We still need many more volunteers. Sign up today. Volunteers are needed to help unload and stack trees, and collect donations at our three main sites: Rancho San Rafael Park, Bartley Ranch Park and Shadow Mt. Sports Complex in Sparks. The program runs every day from Dec 26 – Jan 16. Drop off sites are open from 9am-4:30pm. There are two volunteer shifts per day – 9am-1pm and 1pm-5pm. You can sign up by visiting ktmb.org/volunteer or calling (775) 851-5185. The Nevada Women’s Fund annual Power of the Purse event is Reno’s premiere holiday shopping experience. This is a GREAT event to get a head start on holiday shopping while donating to a locally focused organization. Living up to its namesake, a raffle of 30 unique and quality brand name purses including, Coach, Michael Kors, Cole Haan, Kate Spade, Dooney and Bourke, Brahmin, Calvin Klein, Tory Burch and more, marks the highlight of the event. Power of the Purse is the ultimate girl’s night out while also being a family-friendly excursion with the twopronged goal of supporting local businesses and benefiting the NWF’s mission. Last year, over 1,000 people attended with expectations for it to surpass that this year. All proceeds from the event will benefit the Nevada Women’s Fund’s mission of inspiring achievement in local women and families. Shop, wine and dine all while supporting local vendors, local women and families and a local foundation. Tickets are $40 in advance and $45 at the door and includes holiday fare and two complimentary beverages. To purchase tickets visit http://nevadawomensfund.org/ or call the Nevada Women’s Fund at 775-786-2335. I was recently invited to join the Nevada Women’s Fund (NWF) Board of Directors, a new position that I’m honored to hold. This particular organization holds a very near and dear place within my heart. 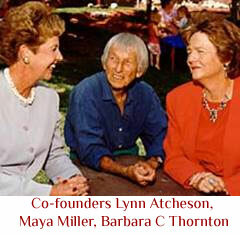 In the 1990’s, I was honored to graduate from the Nevada Women’s Fund Professional Development Series. The course, which took place over the course of almost one-year, changed my life for the better in so many extraordinary ways. I was challenged, professionally and personally, and was fortunate to experience the program with extraordinary women, all fellow leaders within our community. Empowerment was the name of the game and identifying needs while providing opportunities within our region was our first priority. Since 1983, approximately $3.4 million in grants has been awarded to 150 community organizations or programs providing assistance to women and children. NWF has awarded nearly $3.6 million in scholarships to 1,480 women. Most NWF scholarship recipients are re-entry women and single mothers who have not had the opportunity to complete their educations due to family issues and/or financial constraints. The Nevada Women’s Fund works with community donors and supporters to raise financial contributions and other resources to support northern Nevada women and families. Critical social needs are identified and addressed through awards of individual education scholarships and community grant making to community non-profit organizations that share the NWF mission to strengthen and empower our community. The Nevada Women’s Fund is dedicated to strengthening our community by empowering women to improve their lives and those of their families. Founded in 1982 by concerned women who wanted the best for the women and families of northern Nevada, NWF was established to correct the then national imbalance of financial distribution from traditional resources that resulted in less than 6% of grants going to women and children. Since 1983, NWF distributions are near $6.9 million. NWF works with community donors and supporters to raise financial contributions and other resources to support northern Nevada women and families. We identify critical social needs and address them through award of individual education scholarships and grant making to northern Nevada non-profit organizations that share the NWF mission to strengthen and empower our community. The Nevada Women’s Fund makes philanthropy simple to inspire achievement in hopeful women and families. I look forward to further serving my community through this new appointment, I know the organization will continue to change lives. NWF welcomes contributions at all levels. Read more about our work and how you can help at Nevada Women’s Fund. The 2015 Historical Haunted Tour was another sell-out affair. Thank you for supporting Truckee’s most notorious fall event. “Expect clandestine affairs, carousing, gun fights, and unforgettable stories,” shares original tour producer Christina Stoever-Young of Sunshine Tahoe. 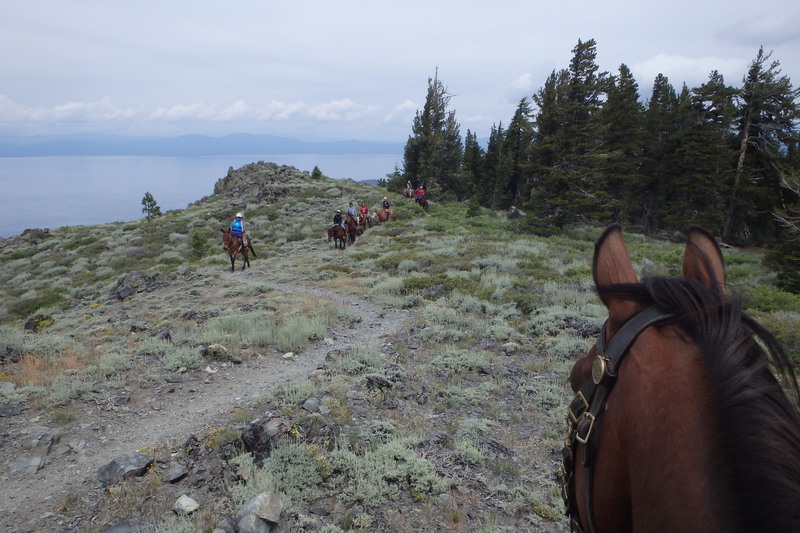 Sunshine Tahoe partners with Trails & Vistas to support local arts education. As a sponsor of the Truckee Haunted Historic Tour, Sunshine Tahoe will support Art in Nature field trips for 400 local students. TRUCKEE, CA – Sunshine Tahoe is pleased to announce a partnership with local non-profit Trails & Vistas to sponsor the 2015 Truckee Haunted Historic Tour, the primary fundraiser for the Art in Nature field trips benefiting 400 local third-grade students. The sixth annual Truckee Haunted Historic Tour will have attendees nervously shifting in their boots with its exploration of the town’s darker past on October 15 and 16, 2015. This sell-out event harkens back to days gone by when local law enforcement kept order on the streets – but just barely. Tickets and more information are available at www.truckeehistorytour.org. The Truckee Haunted Historic Tour is the original production created by Sunshine Tahoe as an immersive experience to celebrate the town’s historic gems. Now produced by Trails & Vistas, it is the signature fundraiser for the organization, whose mission is to inspire community by celebrating the arts in nature. The Art in Nature field trips foster creative interaction between the students and our natural environment through art. By offering projects in the arts, poetry, and environmental studies, the field trips celebrate the land and culture of the Sierra Nevada and instill a sense of community among the participants. The field trips take place at Sand Harbor State Park each fall. “Working with Christina Stoever-Young has helped move our non-profit to the next level by improving the organization of our events, expanding our activities, and building an annual fundraiser. Christina is always there to lend an expert ear, challenging us to do better while cheering us on with her positive energy, advice, feedback,” Nancy Tieken Lopez, artistic director of Trails & Vistas said. Sunshine Tahoe is a business designed to enhance partnerships, strengthen exposure, inspire creativity and captivate well intended efforts ripe for success. Sunshine Tahoe has supported Trails & Vistas for almost a decade and also served as the original producer and funder of the Truckee Haunted Historic Tour from 2009-2014. I am pleased to be a part of an organization that is near and dear to my heart, Keep Truckee Meadows Beautiful (KTMB). As a former board member, the option to once again join the star power of this organization upon moving back to the Truckee Meadows was an easy decision. This will be the first of many insightful posts pertaining to KTMB. About KTMB: Started by the Biggest Little City Committee, Keep Truckee Meadows Beautiful was founded in 1989 as Western Nevada Clean Communities (WNCC). A clean community was one of the Committee’s major priorities, and they began the Adopt-A-Park program to involve citizens in hands-on volunteer activities to spruce up parks and the Truckee River. Based on the success of the Adopt-A-Park program, and realizing the entire community would benefit from a year-round focus on the issue of cleanliness, the Committee set about developing a new, separate organization affiliated with Keep America Beautiful and in January 1989, WNCC officially became the organization we know and love today: Keep Truckee Meadows Beautiful (KTMB). In 2014, we celebrated 25 years of stewardship in Northern Nevada and are more dedicated than ever to creating a cleaner, more beautiful region through education and active community involvement. All of our programs are geared toward educating the public about the economic and health hazards of litter and illegal dumping; reducing our waste; eliminating trash from our parks, roadways and open spaces; making our community a beautiful and safe place to live; and giving opportunities for residents and businesses to take pride and ownership in their home. KTMB works with more than 3,000 volunteers from Northern Nevada and neighboring areas every year. For more information on how you can get involved as a volunteer or donate to our community-funded organization, contact us! I just had to share this, it’s too good. Now, go forward and burn that twilight and midnight oil. There are a set of characteristics that I have observed highly successful people not do. This is not based on any book that I read or something that someone told me, but on traits that I have personally witnessed people who are successful do all the time, in everything they do. These type of people get results, lead results, and sometimes seems like they actually have the power of the ‘Midas touch’. 1. They don’t multitask very often. Successful people seldom try to do multiple things at the same time. They typically target on getting something completed correctly with a laser focus to complete it the first time, right, to move on to the next thing. This applies to the task level, project level, meeting level, and personal interaction level. Multitasking usually leads to distractions, or not being a ‘finisher’ (someone who completes things), or being overwhelmed. Don’t multitask, it is counterproductive. 2. They don’t sleep very well. Successful people tend to go above and beyond in almost everything they do when compared to the normal group. They are not afraid to sacrifice sleep to sharpen their skills, produce more, or study their craft. Successful people have observed that we all (humans) have the same time frame to go through our days, however if they follow the same routines as everyone else, they will end up with the results of everyone else. Successful people simply work harder than everyone else and are not intimidated to put the hard work in. We all have 24 hours in a day, how will you use yours best? Here is a great motivational video that proves this point. 3. They are not reactive. Successful people do not wait for things to be asked of them, they do not wait for things to go wrong, and they do not wait to be told what to do. Successful people are extremely proactive and they know they control their own fate. They have turned the table on fate and decided to take their destiny into their own hands. If you wait for your manager to tell you fix an issue, think about that entire situation. You lost time to address this issue from the point your manager learned about it to when you were told, you lost that opportunity to tell your manager that there was an issue however you already fixed it, and/or you lost that opportunity to address it before it even became an issue. Ask yourself, what are you waiting for? 4. They don’t apply to jobs. Successful people typically are asked to join new roles internally for promotions, are contacted directly by headhunters, or are recruited by fellow managers or co-workers who have left the company to work for another. Successful people typically do not need to self-promote because usually their results, accolades, and reputation are well-known and new employers know those results will continue. These people are very confident in their abilities and so are those around them. Are you one of these people or know someone who is? 5. They don’t focus on their weaknesses. Successful people are very cognizant of what they are good and not good at. Successful people consciously do not concern themselves with their weaknesses and instead are very resourceful and are good at identifying sources of information or people they can resort to when needed. Instead, they are very aware of what they are good at and continue to excel at that and these strengths are typically what allows the successful person to be successful. This may seem counterintuitive, however I have observed this time and time again and done it in practice. Focusing on weaknesses takes away from productively working in a forward direction. Instead, be overpowering with your strengths. Here is a short video that talks about this and here is an article. 6. They don’t have one hit wonders. Successful people don’t just have one great project or result and celebrate. Successful people have top-tier results time and time again, in various situations and scenarios. Consistency is a common characteristic of people who meet this criteria. Successful people have the drive to reach high levels of achievement time and time again without complacency. Anyone remember the 80’s song Funkytown, it hit #1? Probably yes. Does anyone know who the artist is? Lipps Inc! I didn’t know either. Now does anyone know who the artist of the song Thriller is? How about Bad? Billie Jean? I think we all agree that Michael Jackson is considered one of the greatest artists of all time, not a one-hit wonder. You get it, it takes several wins. 7. They don’t waste time or deliver junk. Successful people have developed an ability to produce a high-quality product in a timeframe faster than anyone else can deliver. You know how the saying goes, “if you want something done, give it to a busy person to do”. Why is this? There are a few people who have an ability to generate volumes more than others, and not only more but the quality is generally high quality as well. Successful people usually have their own unique system for getting their work done with deliverables that are never subpar. When others try to replicate their system, they usually fail because like point 5 above states, successful people have a unique set of strengths that they have sharpened like a razor’s edge. If you don’t have your own system for getting work done and lots of it in a short time frame that is not junk, understand your strengths and develop something that works for you. 8. They don’t accept being second best. Successful people are extremely competitive, whether they make it obvious or do not make it obvious. They cannot stand being beat in anything or by anyone, not even themselves. Successful people often try to outdo their own performance and results and are not satisfied until they do outdo themselves or others again and again. Being competitive comes in several forms, but that competitive spirit or fire that drives these people leads to unparalleled results. Have you found yourself being complacent with mediocre results, find it acceptable to be beat by a peer, or are OK with the fact that your previous result was better than the most recent one. If you answered yes to any of these, dig deep inside and release that competitive spirit that helps drive our world, your company or you to new unanticipated levels. 2nd place is the first loser.